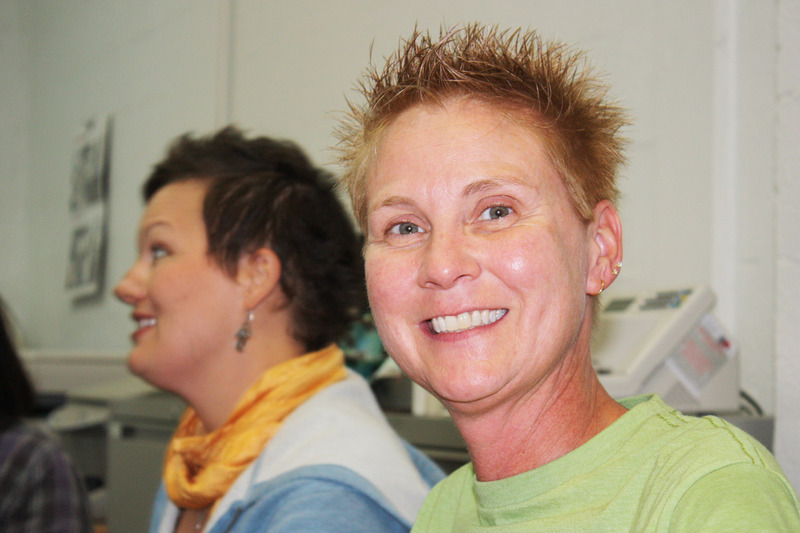 After starting as an employee 25 years ago, Tami became co-owner of Mid-South Ceramics in 2007. Tami administrates the supply portion of the business. Tami enjoys woodworking and the outdoors. Better known as The Clay Lady since 1982, Danielle became co-owner of Mid-South Ceramics; merging her teaching and product line in 2007. Danielle administrates the educational component of the business. 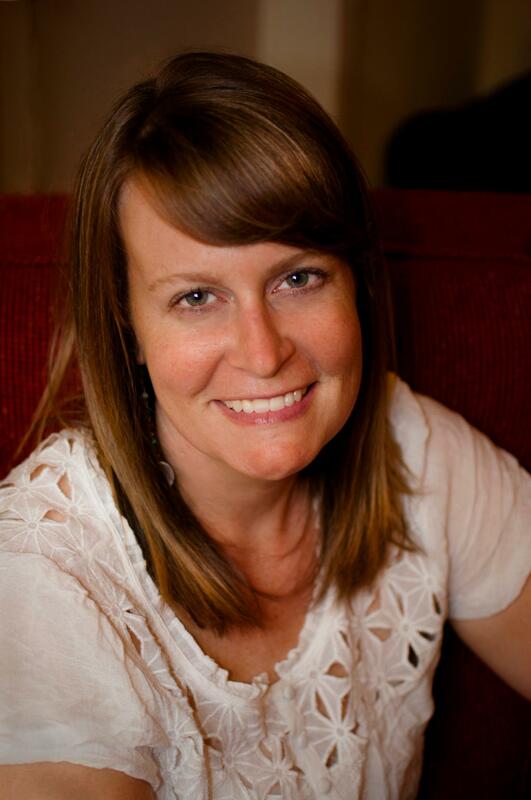 When not teaching, she likes to sculpt, write and mentor new artists. Beginning in 2004, Denise worked for The Clay Lady and is now the general manager of our campus. 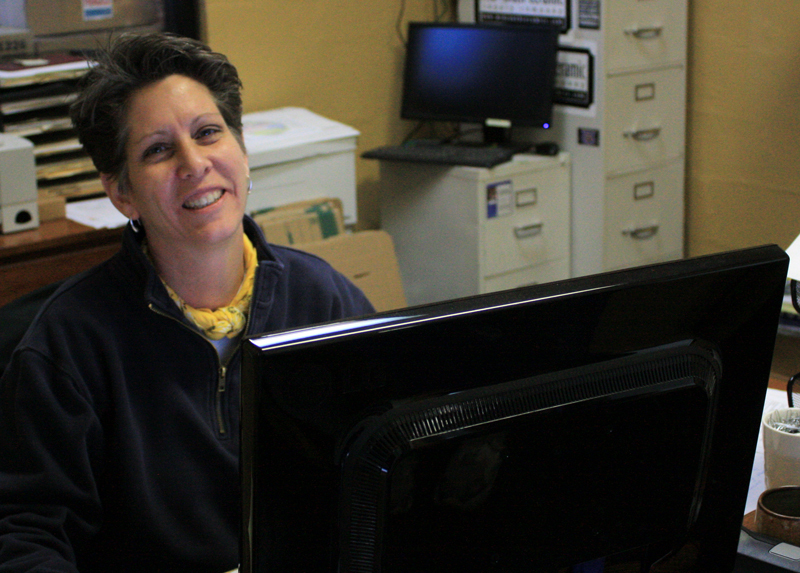 Denise keeps our 17 kilns, 45 on-premise artists and 5 staff members programmed and ready to go! 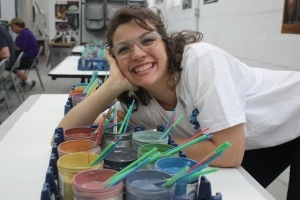 She enjoys putting her artistic spin on pottery and spending time with friends. California native, Joe is a teacher turned potter. Joe loves to throw bottles, but spends his free time fishing and playing with his dog, Rufus. Patrick started working in our warehouse in 2012 after being a member of The Co-op and is in charge of Opulence Glaze Production. 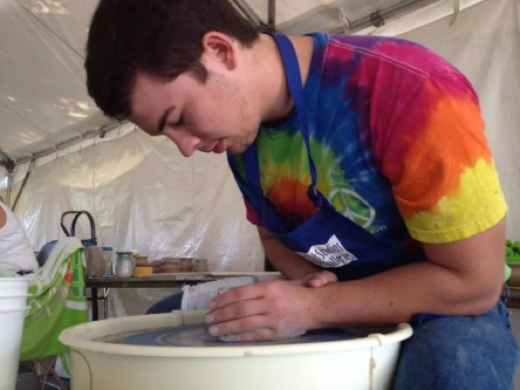 Patrick is an accomplished painter and an aspiring potter. Not only does Richard keep your kiln in top working order, he also is our Monday night pottery class instructor. He enjoys producing his line of amazing pottery, sailing and making jokes! Carrie works our Saturday Retail and keeps a busy day rolling smoothly! She enjoys all kinds of art that includes jewelry as well as pottery. Joseph is currently working toward his BFA in Ceramics. When not in college, Joseph is producing Opulence Glaze or creating new ones! Lyndy joined our team in 2014. She wears many hats around here- assisting with field trips, planning events on campus, promoting our beautiful Opulence glazes, and working with artists. 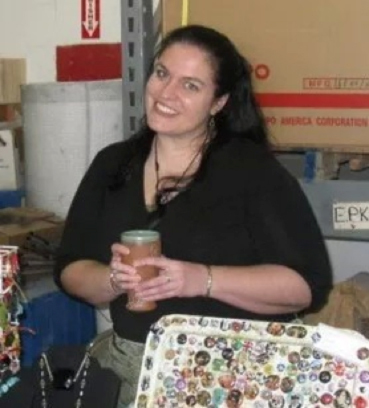 She enjoys mixed media, ceramics and jewelry making. She teaches our Tuesday night pottery class. Merideth teaches pottery on Thursdays. 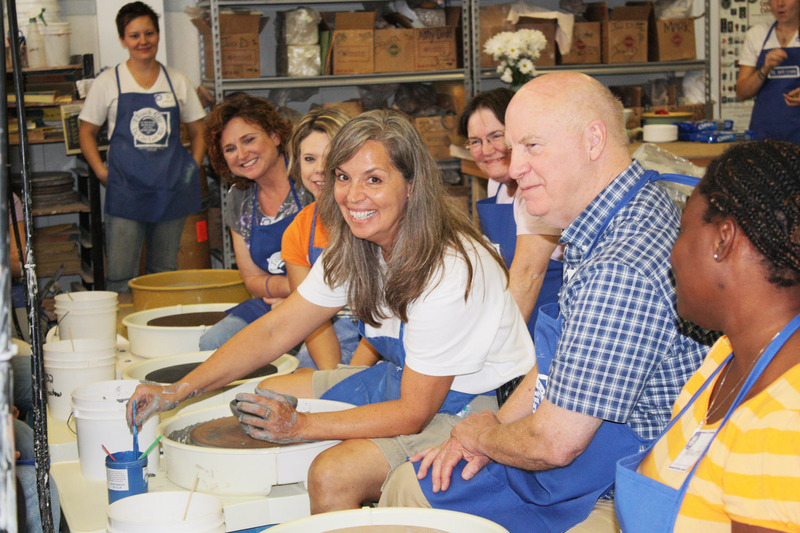 An accomplished potter, Merideth has been associated with our campus in one capacity or another since 2009. 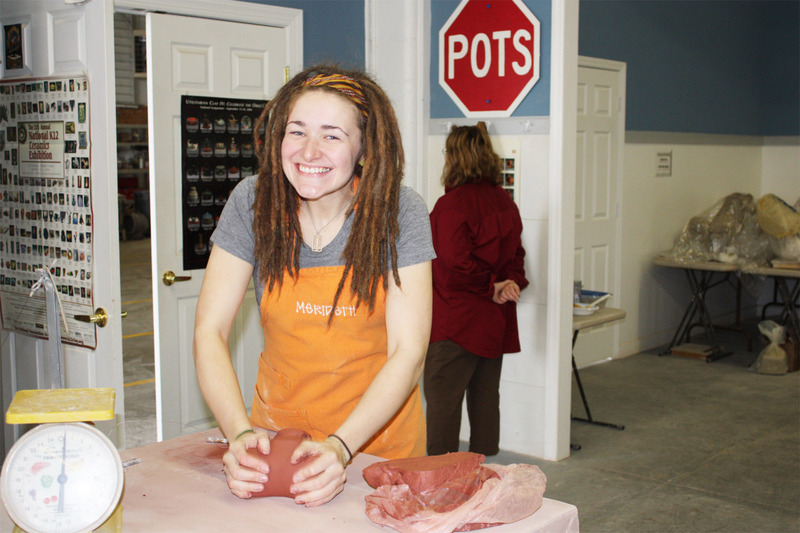 Loren has been a long time pottery student and now keeps our studio running smoothly! She enjoys the field trips most of all and hosting parties in the SHED! 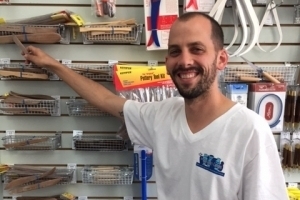 Alexie is our newest addition to the warehouse team. He studied ceramics at Wichita State in Kansas and is enjoying his own studio space In Studio B where he can develop his craft. He also loves high fives and cartwheels. Audra is our pottery teacher on Friday nights. 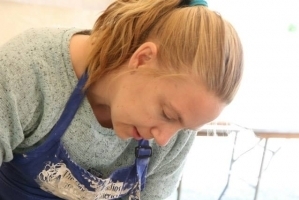 She is a lifetime co-op member and is an experienced potter who enjoys using nature surface decoration.